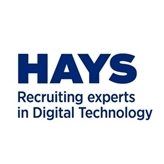 Hays are working in partnership with Westpac to recruit solid Front-End (Reactjs Developers) on a contract basis for an initial 6 months. The client is looking for solutions focused engineers to deliver a number of projects using React, Redux. This role will be located in Sydney, candidates must have Australian Citizenship or Permanent Residency.